We teach 3 of 20 beginner moves each week and are confident that you will be dancing after your first class or we will refund your money. 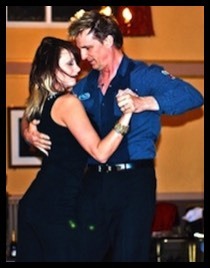 Lots of single men and ladies come to our classes as well as couples, so there will always be someone to dance with. POLITE NOTICE: Any person who participates in dance classes provided by Jive Infusion shall do so at his/her own risk, fully understanding and accepting that injury or loss is their own responsibility and that JIVE INFUSION cannot be held liable in any circumstances. LEARN TO DANCE - CHANGE YOUR LIFE FOREVER! 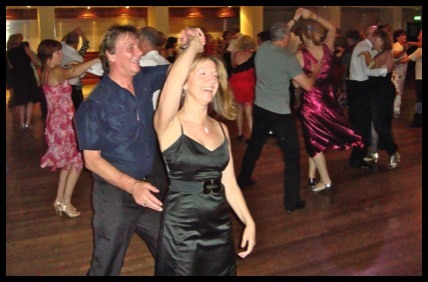 HOW CAN DANCING CHANGE MY LIFE: Read my story ……..
Jive Infusion run adult dance classes, in Doncaster, Hatfield Woodhouse, Leeds and Wakefield, teaching Modern Jive, a partner dance that's easy to learn, stylish, energetic and most of all FUN! Embracing many different dance styles such as salsa, jive, ballroom and tango, Modern Jive can be danced to a range of dance music from rhythm and blues, swing or latin to classic or contemporary pop. Our class night venues open at 7.30pm starting with a 45 minute beginners' dance class around 7.45pm and followed by 30 minutes freestyle dancing. Around 9.00pm is our beginners' revision class, which is for beginners only and for our more experienced dancers we teach an intermediate level class. The last hour is for chilling out, socialising and freestyle dancing to our broad range of super music to suit everyones taste. Cost for 3 hours dancing including 2 classes and over one hour freestyle dancing is £7. A fun night at one of our popular FREESTYLES! Whether you come dancing on your own or with a friend or partner, you will meet people who have a common interest which will enhance your social life in ways you never thought possible. We teach 3 out of approximately 20 beginner moves each week and are confident that you will be dancing after your first class or we will refund your money. Dancing is a very physical activity and without realising it, you will feel fitter and healthier. So you can cancel the gym membership and save a fortune. There are usually no classes on a weekend freestyle night instead we provide an opportunity for dancing to some great music from 8.00pm until 11.45pm. We have a freestyle night at Parklands (Doncaster) at Askern Miners' Welfare Club, (Doncaster) and Eggborough Sports and Social Club (Selby). See freestyle/events page for dates. We often have themes at our freestyle nights i.e. fancy dress, red and black, James Bond 007, Burlesque etc. and although dressing up is always optional it is however very popular with the ladies. Check our freestyle/events page for our themed nights.